Photo - Cornwall soldiers on Main Street, Snapper Earl is on the left. Photo credit Snapper Earl collection. 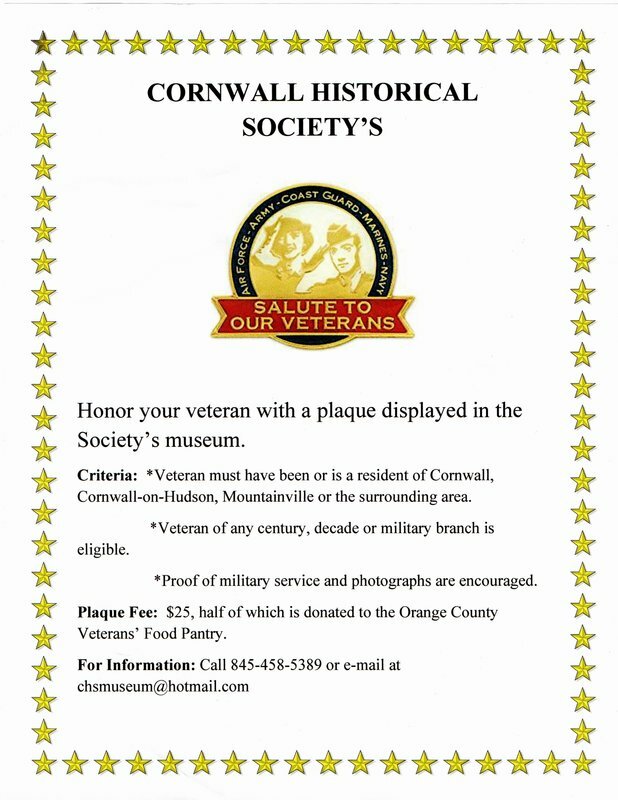 The Cornwall Historical Society would like to acknowledge the citizens of Cornwall, Cornwall-on-Hudson, and Mountainville who served or are serving in the armed forces by honoring them with commemorative plaques. These plaques will be hung above Cornwall's original World War II Wall of Honor on display in the museum at Town Hall. Plaques (6" x 2") cost $25 and include the recipient's name, rank, branch and years served. To add your Veteran to the Wall please click here and complete the application. Our goal is to honor all Veterans from Cornwall, Cornwall-on-Hudson and the surrounding area for their service. World War II. There are 684 names on the Wall of Honor. We have given each name his/her own page in our Veteran's Book with space for their pictures, military service and civilian information. Eighty veterans have been documented so far. We still have a long way to go. Stop by and see if your World War II veteran is one of those 684 who served.